What day is it today? Saturday, you say? Hurrah! 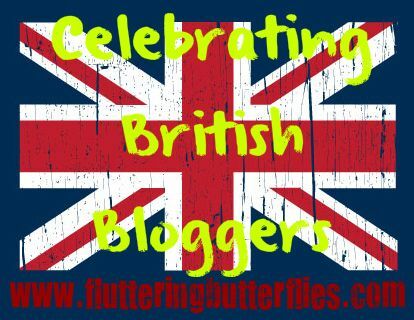 That means it is time for yet another interview for my Celebrating British Bloggers feature! Our blog is called We Sat Down. It's run by myself and my daughter,Little M, who is 13. 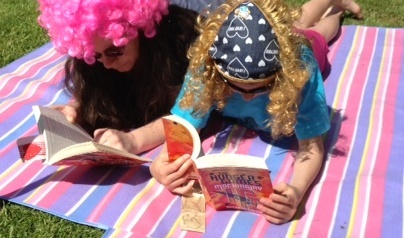 We post book reviews, mostly older middle grade, young teen and YA crossover. I've just started posting some of my adult fiction reviews too. We also love hosting interviews with authors and taking part in challenges like the British Books Challenge. Our latest one is huge: it's The Classics Club where you aim to read 50 classics in 5 years. Little M asked me to help her set a book blog up! She wanted to keep a list of books she had read in a similar way to what I had done with pen and paper when I was a teenager. But she also wanted to have a bit of a book club where people shared suggestions for books and authors to read. In my spare time, I'm involved with quite a bit of voluntary charity work. I also like to travel and I (sometimes!) like cooking dinner - Chinese and curries are my latest thing (I like simple ingredients). I love organising things - especially parties. Divergent by Veronica Roth. Little M and I both reviewed this title. Young Adult was a new 'thing' for us and this was the first book that we thought looked good at the time. There are so many things. First off, finding that there are so many people who book blog and that they're on Twitter too, and hey golly-gosh, we can even meet up with some of them. Also, finding so many great recommended books and authors that if we gave up blogging today, Little M already has a reading list that will take her all the way into adulthood. We've also loved doing interviews and meeting the authors. Probably The Handmaid's Tale by Margaret Atwood. It's dystopian, it's feminist, it's thought-provoking, it's romantic, it's brilliant. In fact, I'm set to re-read it for my Classics Club challenge. and I'm exploring all the Atwood titles that I haven't read yet too. Sonmi-451 from David Mitchell's Cloud Atlas. She's a clone created to serve in a diner. They're manipulated and controlled like slave workers. But one day she rises up.....Anyway, she totally won my heart in all kinds of ways. Margaret Atwood. It is cliched but yes. I would like to meet her accidentally (if it was a planned meeting, I'd do far too much preliminary research!). So maybe somewhere like in a queue at immigration or on a seat in a theme park. Maybe building sandcastles on a beach. I'd like to see a lot less emphasis on boy-girl romances and heteronormative relationships. There is so much more to life but heteronormativity is also often at the root of the body image problem that so many teens experience. I'd also like to see more standalone novels - or at least, a lot less cliffhangers at the end of books in a planned trilogy/series. Rhett Butler from Gone With the Wind. I would be a very loving Scarlett. What do you think of M's answers? 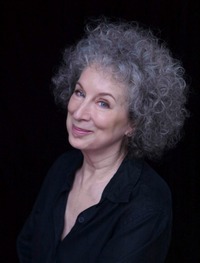 Would you like to meet Margaret Atwood? 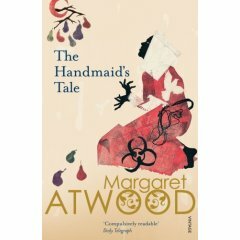 Is The Handmaid's Tale your favourite book? Do you think you'd be a great match for Rhett Butler? Let M and I know in comments! I love Divergent, it was one of my first YA books and is still one of my favourite books today. I also read a snippet of The Handmaid's Tale in English and I was really intrigued, it seems like such a poignant book. I love We Sat Down! M and Little M are lovely, and it's so nice how they work together, mother and daughter, writing reviews and blog posts :) Yay for Divergent! Love that book :) I haven't read The Handmaid's Tale, yet! I really want to!